Which WorldTour team has the best kit for 2019? Many of the top WorldTour teams unveiled their kits, revealing some masterpieces and some dubious designs that will be ridden around the world this coming 2019 season. We take a close look at the new 2019 threads that the top stars from Geraint Thomas to Peter Sagan will wear when they race for their 2019 targets. Vincenzo Nibali’s team keeps wearing the red and blue kits with gold highlights, but for 2019, the Arabic gold chest design is gone in favour of vertical stripes. It’s a subtle and questionable change to a kit that already is one of our favourites. Another key change, especially for the team’s budget, is the addition of McLaren on the sleeves. CCC, a large part of the former BMC Racing team, made orange look classy. It opted against a full-on citrus blast in favour of subdued orange top that fades into black shorts. It should work perfectly when stars like Greg Van Avermaet sit on their black Giant bikes. We like it as it will be easy to spot in the peloton. The Belgian super team stayed with its traditional blue kit with white horizontal chest band that everyone loves. However, the 2019 version compared to other years appears slightly off-balanced. The white stripe sits seemingly too high to fit in Deceuninck’s name above Quick-Step in the blue below. The German team made a risky move going from their classy black with white stripes, but it is one that has paid off. The team swapped black for red with great results. Tom Dumoulin and other’s have two big white stripes running from head to the bottom, where black shorts complete the kit. Subtle darker red lines help create dimension in our new favourite 2019 jersey. Cervélo, the logo of the new bike supplier, wraps around the sleeves. Trek – Segafredo eased off the red and brought in more white and black. 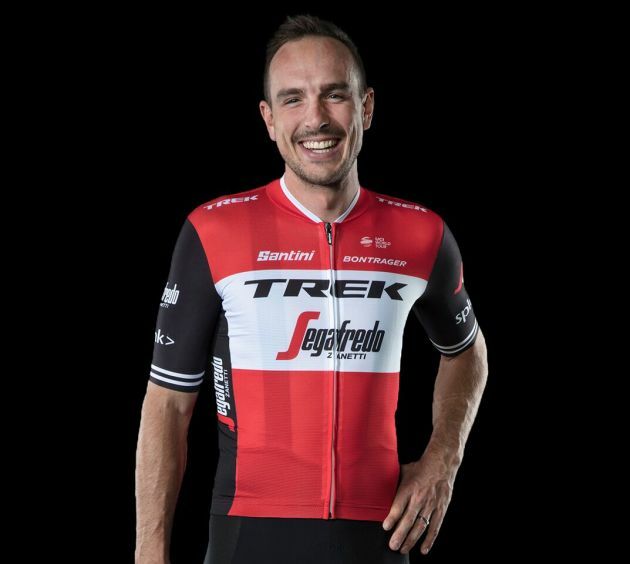 For 2019, they went with a retro look: a large white horizontal band through the chest that shows Trek and Segafredo well and black sleeves that match the shorts. A pair of white lines wrap around the edges of both sleeves and shorts. Team Sky completed a circle by going back to their original look for what will be its final year in the peloton. 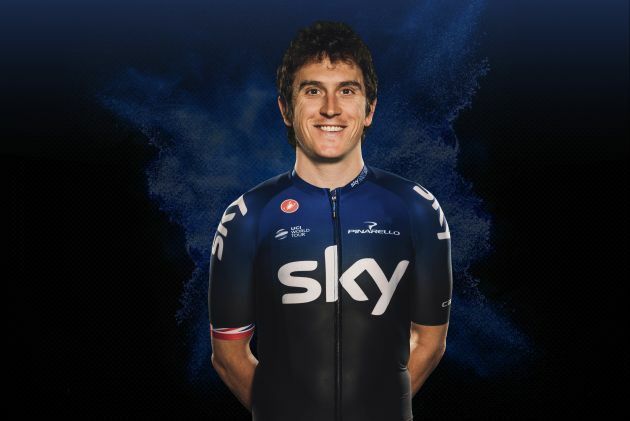 The 2019 kit is as classy as they come: all black with a simple white Sky logo on the front and sleeves, and a blue horizontal stripe down the back. The team packs a punch with star Peter Sagan, but the ‘Chevron’ jersey trails behind. It is a repeat of 2018 with a white to green fade and black shorts. Compared to the rest of the peloton, the fresh and unique colours fail to look fast on their own. Thankfully, Sagan, who wears the national colours and a white jersey in 2019, is in the team to pick up the slack. The French team with Romain Bardet keeps the classic design that they released for 2018: a brown overall theme with a big and bold white horizontal band across the chest and sky blue below. Love or hate the brown, this is a clean and simple design that is spotted easily in the peloton. The Belgian team’s design took a strange twist from two years ago when it had a classic red and white retro look. Last year, it added more white. For 2019, a graphics digital-wave of black dots sweeps up from the bottom. A red horizontal band splits to two and joins back to one. The 2020 design can only improve. Katusha are one of the few teams to buck the black-short look. They do it well with red shorts smartly mixed with light blue tops. Alpecin’s red logo sits on the chest and a red K on the shoulders. It looks great, but we prefer the 2017 all-red look. No major changes for the new Dimension Data strip, despite the switch to Assos from Oakley as the kit provider. The South African outfit are sticking with the white jersey accented with light green detailing – simple and stylish, but no real development from last year. More kit that’s heavy on the white, but this time we feel it’s overdone. UAE Team Emirates have opted to go big on the sponsor logos and small on colour, making the kit a bit lacklustre. The team members themselves might even agree, based on Fabio Aru’s frowning mugshot in the new colours. Teams appear to have synced up their thinking for 2019 with the spotted fade to black kits, as CCC, Lotto-Soudal and Jumbo-Visma all opt for the style in different colours. The yellow colours of the Jumbo kit are harsher than the 2018 version and we’re really not big on the kit. No surprises here but Astana made very little change in their kit for this season, but with one key detail that’s a little awkward. The new design in the bottom third of the jersey looks like you can see the riders’ high-waisted Y-fronts through the jersey, an affect that looks like its caused by a strange choice of stitching. The classic red white and blue colours of the FDJ kit remain, but the chevron design make this one of the more desirable outfits in the WorldTour. Odd coloured sleeves also add character to this kit. Where other teams are now adopting the colour fade, the original innovators of this recent trend Movistar are keep it stylish with the 2019 kit. While there is little change from the 2018 strip, the Movistar colours really need very little tweaking. The contrasting light blue and navy are a welcome break from the more common colours in the peloton (please, no more red and black kit), and when combined with a matching design on the Canyon bikes, this is definitely one of the nicest ensembles in pro racing.